Meet Bernadette & Hayln. 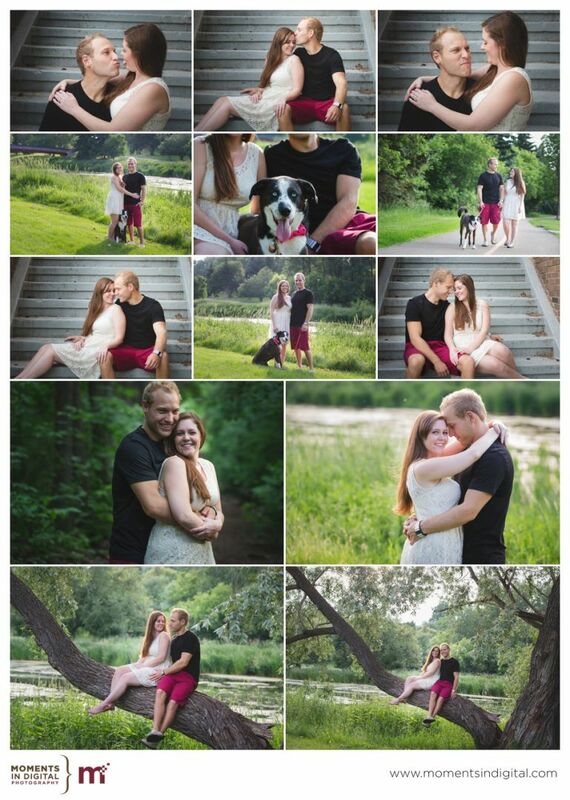 They are getting married this fall and together with their dog Ruby, we braved the mosquitoes to photographÂ their engagement session in Red Willow Park in St. Albert. Â These two are high school sweethearts and are so cuteÂ together. We think Ruby also enjoyed her time in the park. Thanks to bridesmaid Angelina for dog sitting while we snuck into the trails to get a few shots of Bernie & Hayln by themselves. Watch for their wedding to hit the blog this fall!